﻿ What is SFP Transceiver ? SFP Transceiver refers to the Small form-factor pluggable optics. It is a compact, hot-swappable transceiver used in data communication and telecommunications networks. The SFP transceiver is specified by Multisource Agreement (MSA), which was developed and followed by different optical transceiver manufacturers. 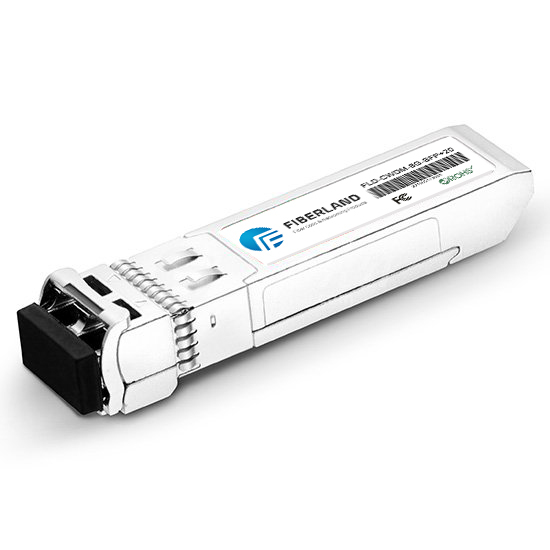 SFP transceivers have a wide range of detachable interfaces to multimode or single-mode fiber optics, which allows users to select the appropriate transceiver according to the required optical range for the network. SFP interfaces between communication devices like switches, routers, and fiber optic cables, and performs conversions between optical and electrical signals. SFP transceiver supports communications standards including synchronous optical networking (SONET)/synchronous digital hierarchy (SDH), fast and gigabit ethernet, fiber channel and CPRI. SFP Transceiver also called mini-GBIC because it is upgraded version of Gigabit Interface Converter (GBIC) module but with smaller dimensions, in other words, it is a modern type transceiver. SFP MSA (multi-source agreement) INF-8074 was developed by many network component and equipment vendors including Finisar, Tyco Electronics, IBM, Infineon Technologies etc. The MSA defines the mechanical interface such as Package Dimensions, Host Board Layout, Electrical Interface such as Pin definitions and module definition Interface and data field description. The documents strictly define sufficient characteristics of an SFP optics so that different equipment vendors and transceiver manufacturers may implement ports on their devices with proper function. Besides of this, SFF-8472 also defines an enhanced memory map with a digital diagnostic monitoring interface (DDM or DOM) for optical transceivers that allows pseudo real time access to device operating parameters. The interface is an extension of the serial ID interface defined in the GBIC specification as well as the SFP MSA.